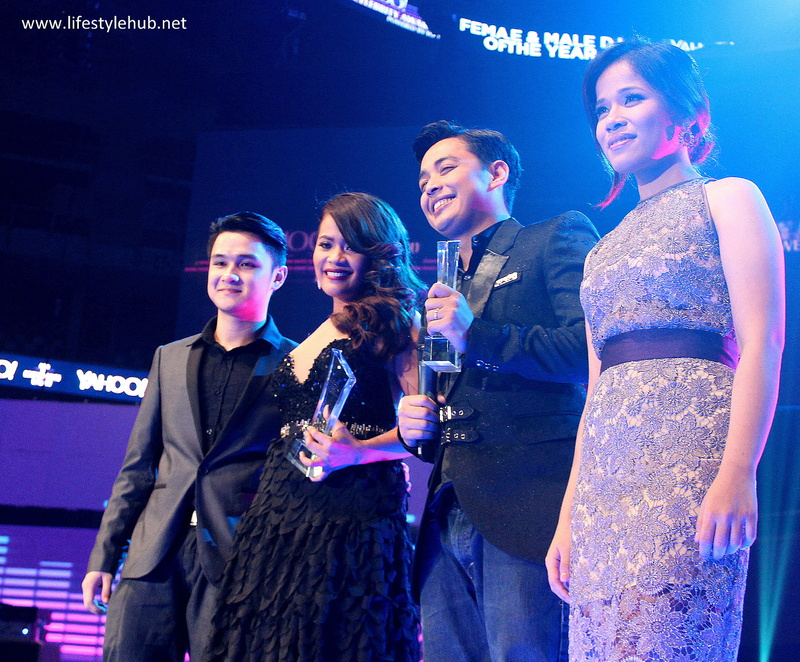 The Yahoo Celebrity Awards, revamped from the OMG moniker that it used in three previous editions, held another blockbuster awards night at the Mall of Asia Arena today, July 18, 2014. So far, it is the country's biggest measurement of fanbase, giving loyal followers sleepless nights to vote for the celebrities they support. In the end, Sarah Geronimo's Popsters pulled ahead from a very close race against Julie Anne San Jose and her numerous fan groups to win Female Performer of the Year. Julie Anne denied the Popstar Princess this title last year that Sarah's fans doubled their efforts to secure a 2% lead in the last two days of voting. The Popsters lost steam though and appeared no match to the KimXis after Kim Chiu won over Sarah Geronimo in the Celebrity of the Year category. Kathryn Bernardo, who is backed by the solid KathNiel group, is the night's biggest upset after finishing only second in the category. Marian Rivera, whose fans may have exerted more efforts to award her FHM's Sexiest for the third straight year, is also nominated in the same category. Anne Curtis may have been the most followed local celebrity both on Twitter and Instagram but Vice Ganda's fanbase proved to be bigger as the latter won Social Media Star of the Year, getting 44% of the votes against Curtis, Kris Aquino, Team Kramer and Ramon Bautista. Coco Martin, meanwhile, took a landslide victory for Actor of the Year against Dindong Dantes, John Lloyd Cruz, Piolo Pascual and Dennis Trillo while Kim Chiu replicated her win in the Celebrity of the Year category to also win the Actress of the Year award. The peculiar set of awards include Vice Ganda and Karylle for Love Team of the Year. The ViceRylle fan groups are among the most visible on Twitter and this interesting team up managed to win over Daniel Padilla and Kathryn Bernardo. Dennis Trillo and Tom Rodriguez were also nominated in the same category. Meanwhile, Jennylyn Mercado, who played three roles in "Rhodora X" was cited for her kontrabida role. Jennylyn won over Maja Salvador of the "The Legal Wife" after it prevailed over "Rhodora X" in the ratings race early this year. 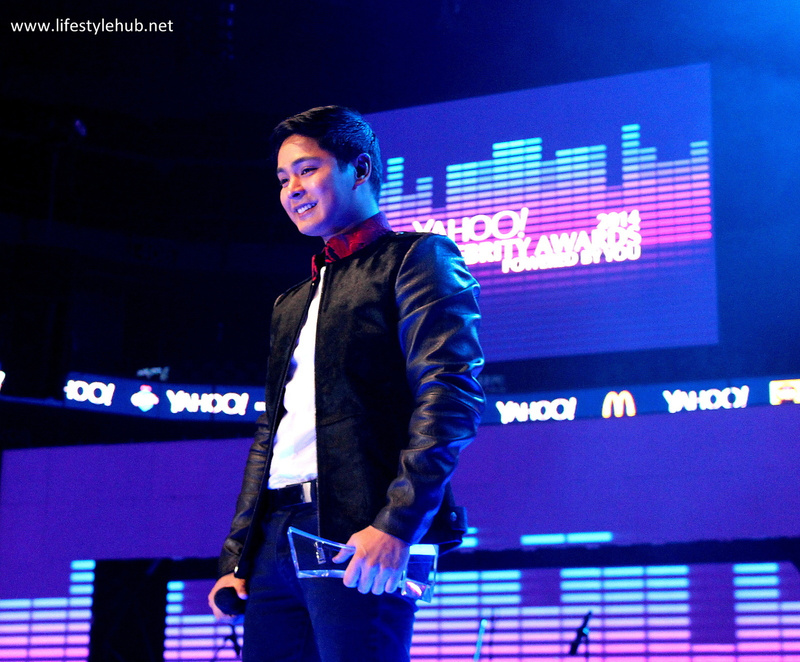 Yahoo Philippines reportedly received 10 million votes for the 25 categories this year. Here are the highlights of the awards show. The Padillas are the recipient of the first every Celebrity Family of the Year Award. This is also the first time that BB Gandanghari joined his brothers in one venue in a public event. Kim Chiu picked up her third Yahoo trophy for the night, winning Movie Of The Year for "Bride for Rent" with Xian Lim. She was also awarded Celebrity of the Year and Actress of the Year. Coco Martin accepts his award for Actor of the Year. 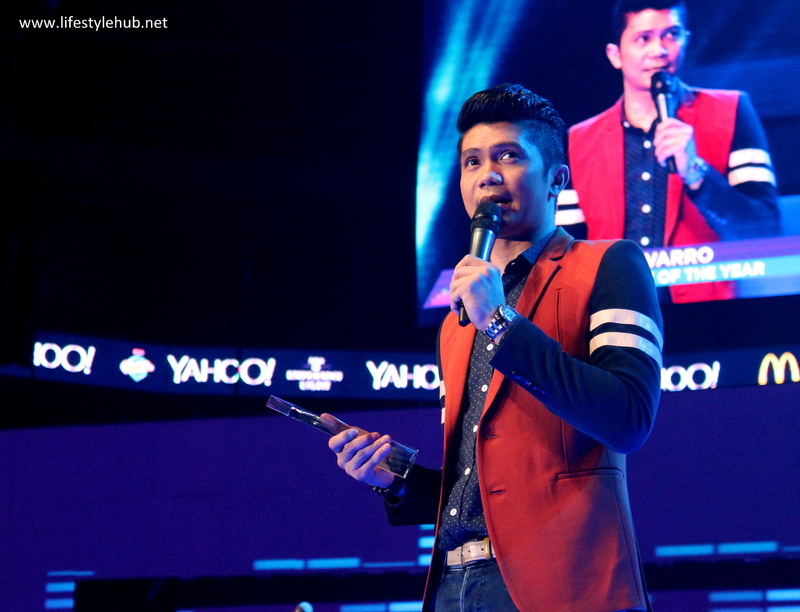 Vhong Navarro receives the first good news of his career after a series of controversial events by winning Best Male TV Host. 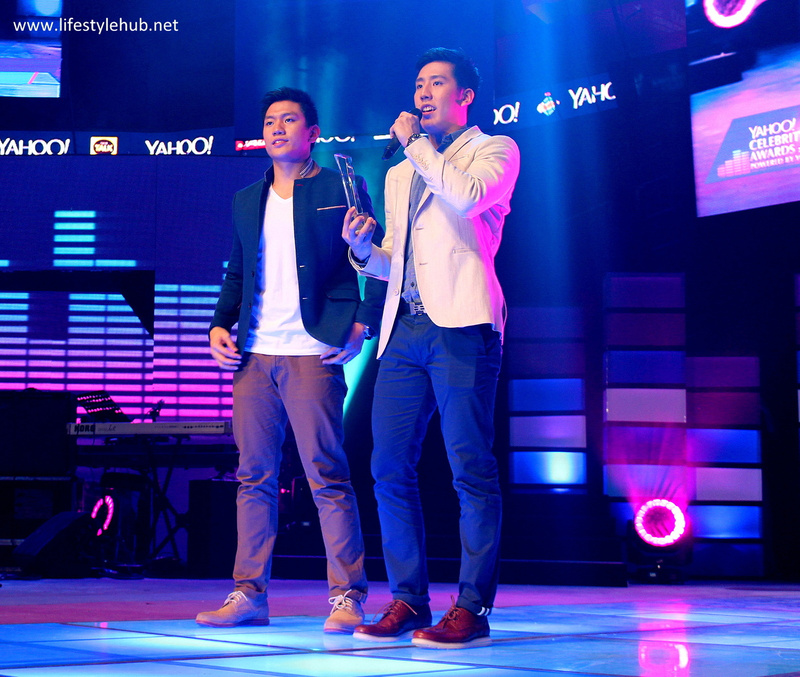 It's the first year for sports categories and brothers Jeron and Jeric Teng won the Male Hotlethe(s) of the Year award. In the picture below is Female Hotlethe winner Gretchen Ho. Female Kontrabida of the Year nominee Maja Salvador performed her hit song "Dahan-dahan Lang." Winners of the Female and Male Kontrabida of the Year: Jennylyn Mercado for "Rhodora X" and Jake Cuenca for "Ikaw Lamang"
The Voice of the Philippines alumni Paolo Onesa and Klarize de Guzman present the award for Female and Male DJ of the Year to DJ Chacha (MOR 101.9) and Papa Jack (Love Radio 90.7). 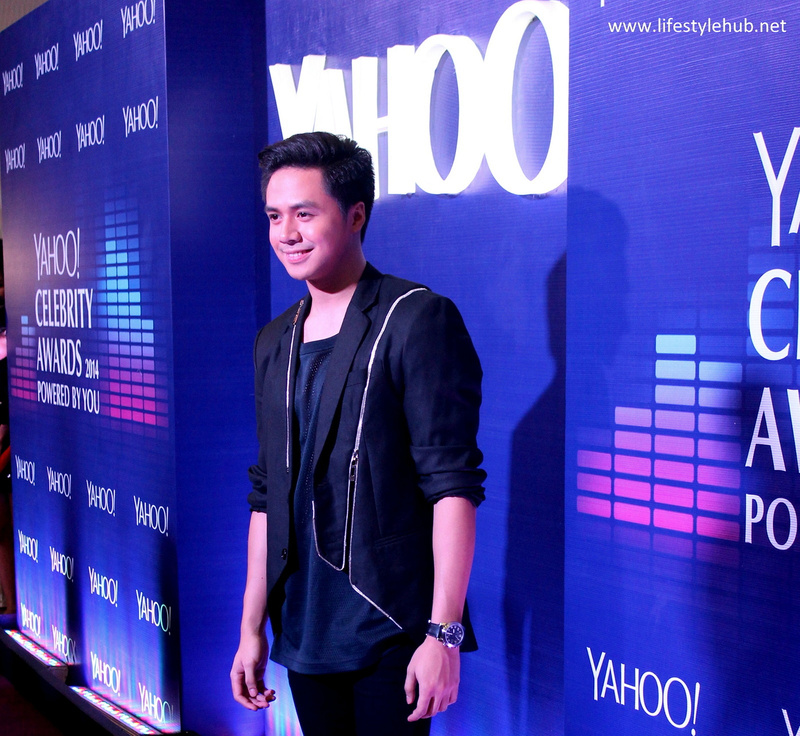 One of the night's performers, Sam Concepcion, is seen at the purple carpet. Getting loud applause from fans at the purple carpet are Starstruck's biggest love team, Mark Herras and Jennylyn Mercado. 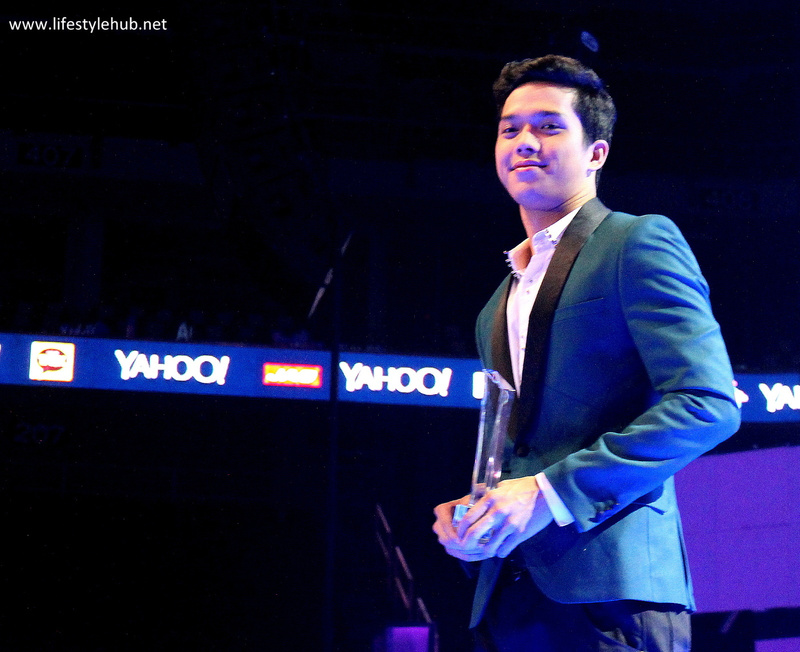 Male Performer of the Year nominee Elmo Magalona presents the award for Social Media Star to Vice Ganda. Robi Domingo and Maxene Magalone are this year's hosts.